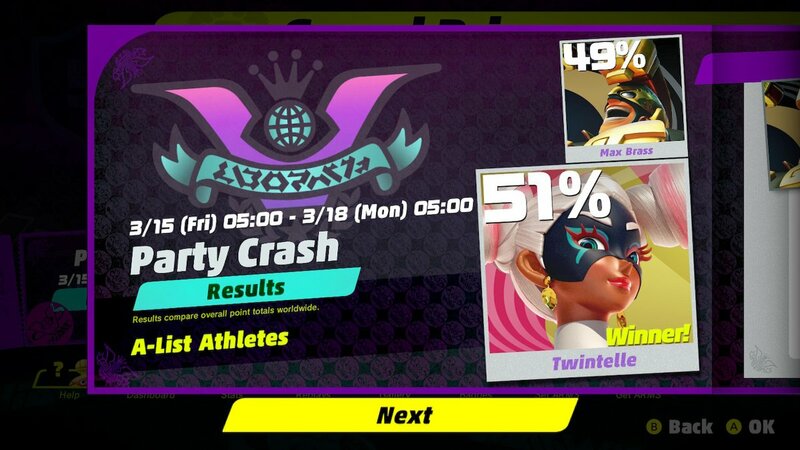 The second quarter-final of the ARMS Party Crash Bash is now over, and Twintelle defeated Max Brass. It was another close match with a final result of 51% to 49%. Twintelle will participate in the semifinals where she will battle Min Min. The remaining quarterfinals matches to determine the last two competitors moving to the semifinals include Ninjara vs. Ribbon Girl and Mechanica vs. Dr. Coyle.